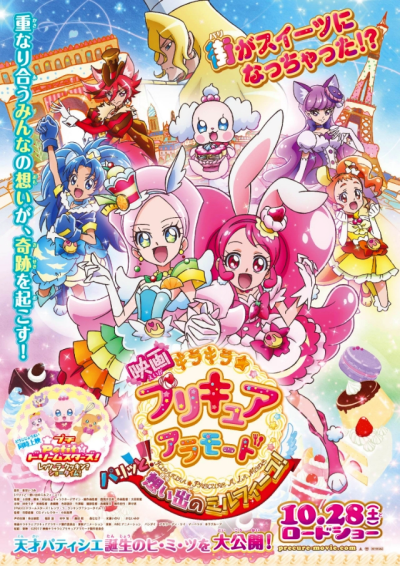 Kirakira☆Precure a la Mode: Paris to! Omoide no Mille-Feuille​! The Precure members go to France as part of a cooking competition. While in France, Ciel is suddenly unable to change into her Precure form, and her sweets making is going badly as well. During the competition, suddenly the streets of Paris turn to sweets.